Like any author, I do hope to sell a lot of books, but I am no “Johnny-come-lately” to this topic. My first exposure to these ideas was when I was six years old. 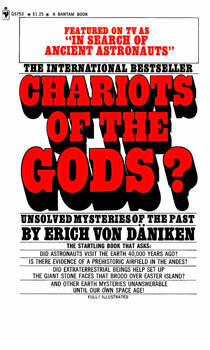 I went with my father to see Erich von Daniken’s Chariots of the Gods. I was not your typical six-year old and I was instantly hooked. Later, when I was able to read, I consumed von Daniken’s books and everything else I could on the topic – which was not much in those days. Then there was about a 20-year break while I grew up, finished school, and went out into the work world. 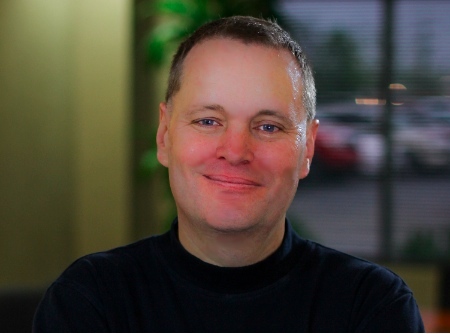 I was re-energized by a local radio host in Kansas City named Mike Murphy who loved having guests on about UFO and alien abduction. I read everything there was to read on that topic. About the same time, I got deeply into the works of Joseph Campbell – the mythologist made famous late in his life by the famous PBS series. I was fascinated by the connection between the ancient – and rather consistent myths – of our ancestors and this concept of ancient aliens. It filled in a lot of the inconsistencies that religion could not related to the behavior of the “gods” versus what one might expect from a creator of the universe. The idea for Anunnaki Awakening series brewed within me for several years, until the two main characters basically tapped me on the shoulder and told me it’s time to write us now. I’ve been thrilled by “the ancient alien craze”, even if I think the show has reached on occasion. That’s what makes taking the fictional approach to revelation easier. What’s real and what’s not? YOU DECIDE! This entry was posted in ET/UFO, Human Origins, Ray A. Davis and tagged Ancient Aliens, ancient astronaut theory, Erich von Daniken, Joseph Campbell, mythology. Bookmark the permalink.